With the advent of electronic health records physicians are spending hours a day on the computer typing clinical notes. 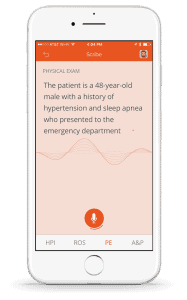 Many doctors hire medical scribes as a way to manage the burden of digital documentation, but they often overlook a third option: medical grade voice recognition software. 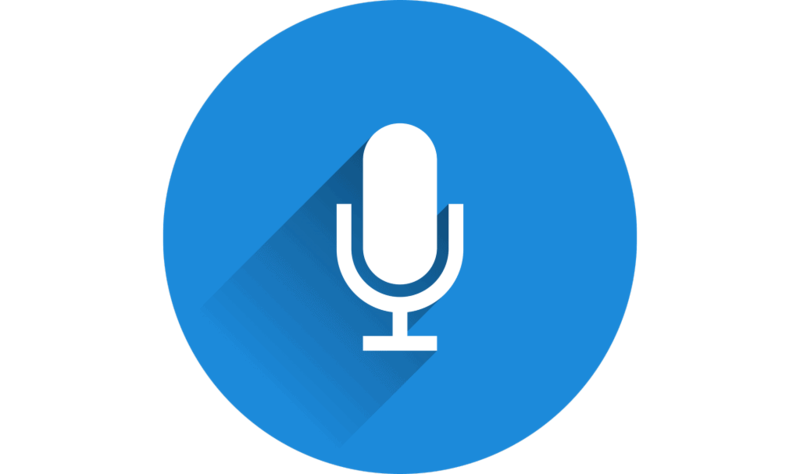 If you’ve previously written off dictation software as too clunky or burdensome, it’s time to think again. Whether scribe or software, it’s no wonder physicians are looking for any alternative to typing clinical notes into the EHR. Documentation in the digital era is awkward, repetitive, impersonal, and slow. A recent study found that family physicians in Wisconsin spend on average six hours in the EHR daily, including 90 minutes after hours. The result across specialities is work-life imbalance, professional dissatisfaction, and high rates of physician burnout. Hiring a medical scribe may seem like the obvious solution. Many scribes are professionally trained, and they can capture most relevant clinical information in real time during a patient visit. Providers are free to focus on treating patients with minimal time spent reviewing and dictating notes. But if a medical scribe sounds ideal, consider modern dictation software. There are a few reasons why dictation software may be a better solution for your practice than hiring a medical scribe. The first, of course, is cost. Hiring means an additional salary per provider. Medical scribes make around $20/hour, equivalent to around $40,000/year. By comparison, medical grade dictation software might cost $2 – 5,000/year. While hiring a medical scribe may be worth what you pay, dictation software can provide similar benefits at a fraction of the cost. As another person in the room, scribes affect the doctor-patient relationship. Trust is a vital part of effective patient care, and many patients are less candid in the presence of someone who isn’t medically trained. Scribes are people who will inevitably need days off and call in sick. This can be a major disruption to your clinical workflow. Medical scribes type dictated clinical notes, meaning documentation speed is still limited by typing speed. Even the fastest typists can’t compare to the speed of dictating with voice recognition software. A human scribe raises fraud and liability concerns. There is bound to be miscommunication between scribes and physicians, which can lead to inaccuracy and messy legal situations. Transitioning to a modern medical dictation software avoids all of these challenges. Take Mobius Scribe as an example. Mobius is a premium speech-to-text software that uses deep learning to adapt to your voice patterns. It’s available within the Mobius Clinic app and provides unlimited usage across all your devices for a flat monthly rate. Providers use Mobius to dictate directly into the EHR via a mobile app on the smartphone or tablet they already own. Mobius can listen as fast as you speak, and it recognizes medical terminology out-of-the-box. Physicians use apps like Mobius to efficiently dictate clinical notes during and just after patient visits, so nothing is missed and there’s no charting homework. Your words appear instantly on the screen and are automatically saved in your existing EHR. This means you can review notes for accuracy as you go, and there’s no waiting around for your patient charts to be completed. Medical dictation software is simple, intuitive, and reliable. It combines efficient documentation and patient-centered care at a fraction of the cost of a medical scribe.